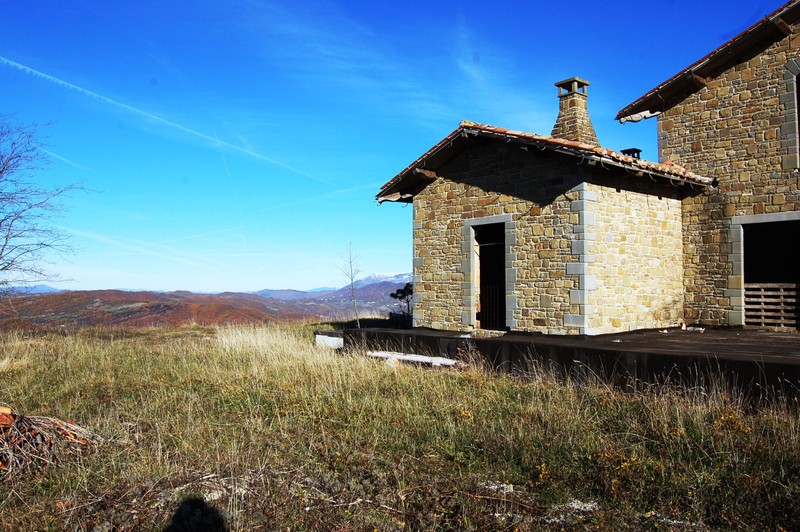 In Umbria at 850 meters U.S.L. 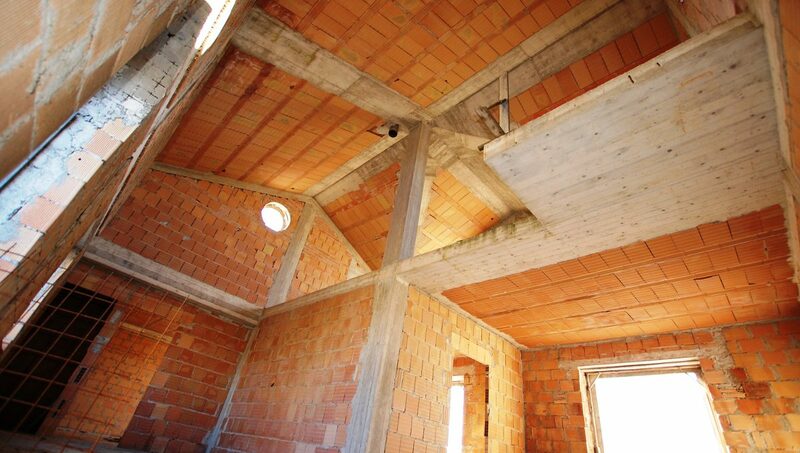 this characteristic anti-seismic construction is to be completed. 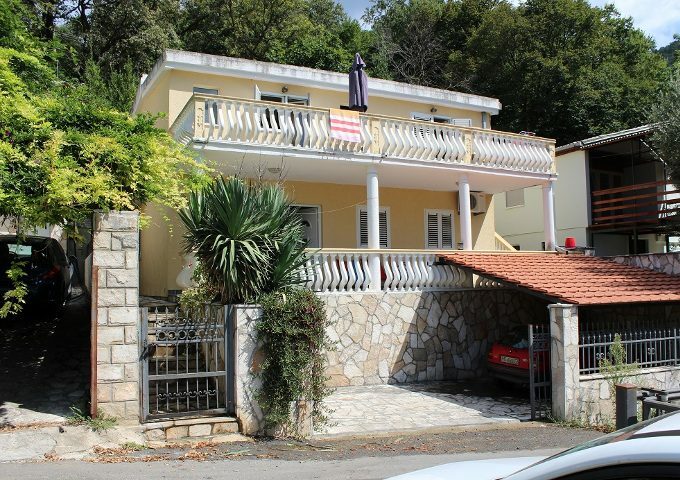 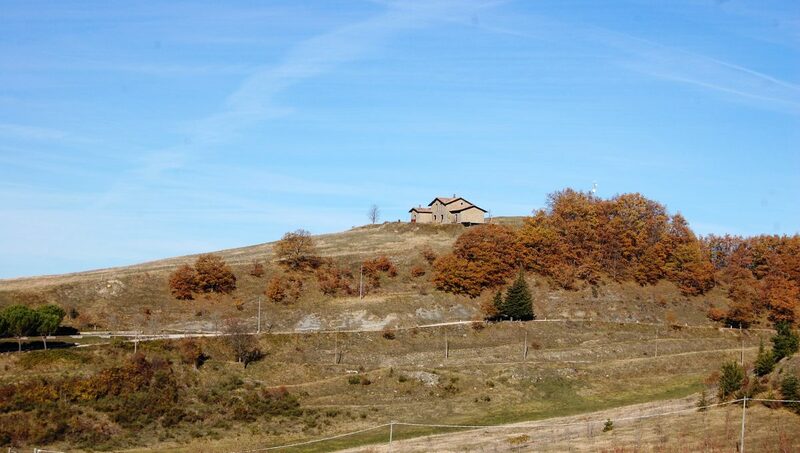 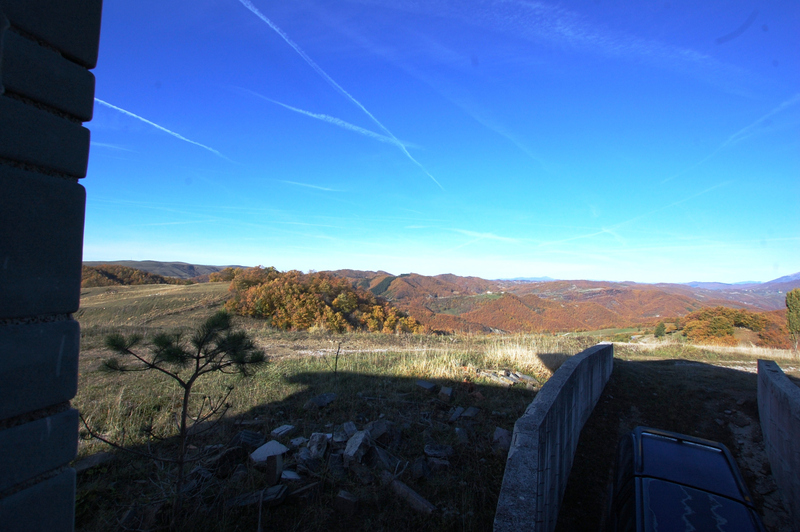 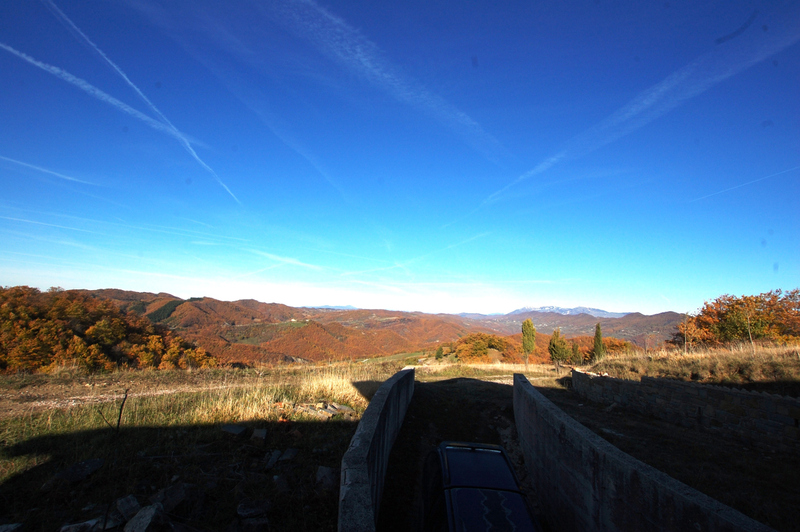 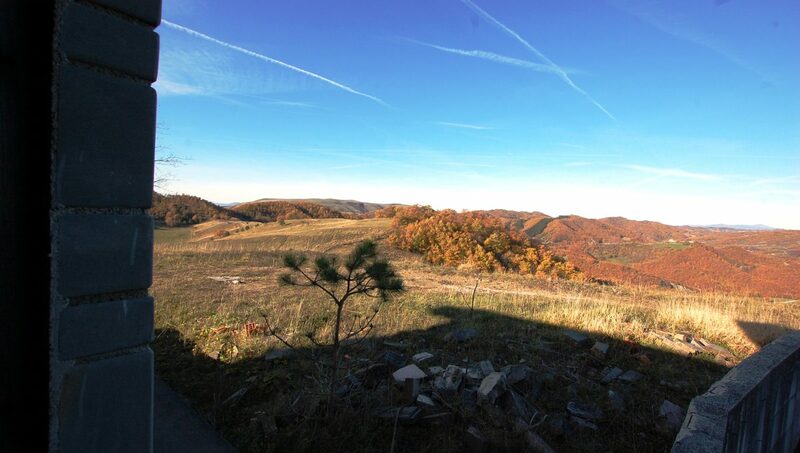 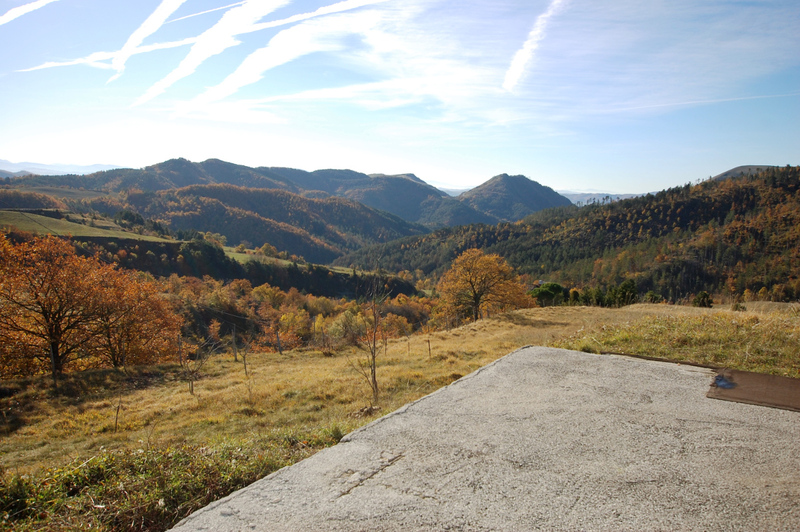 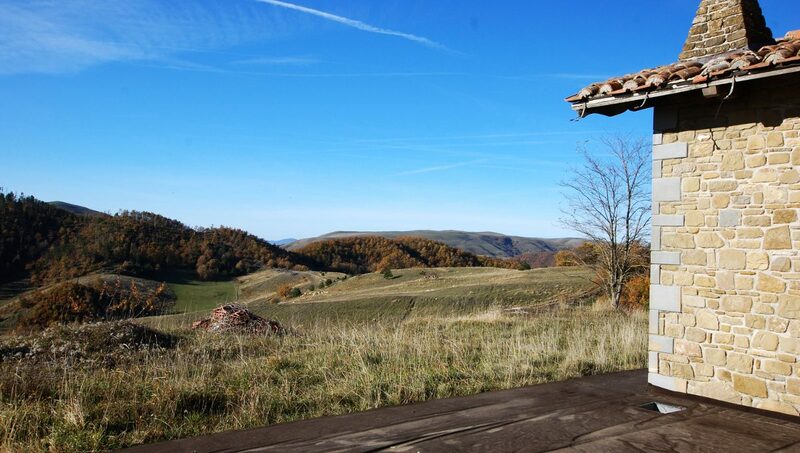 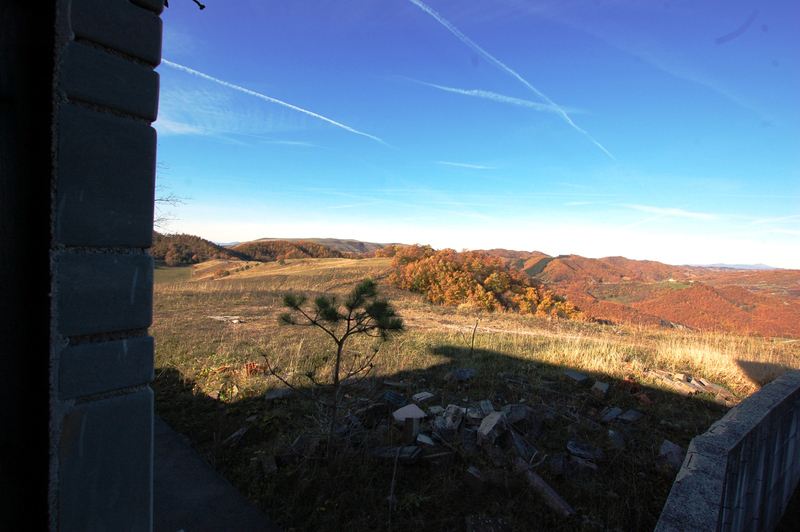 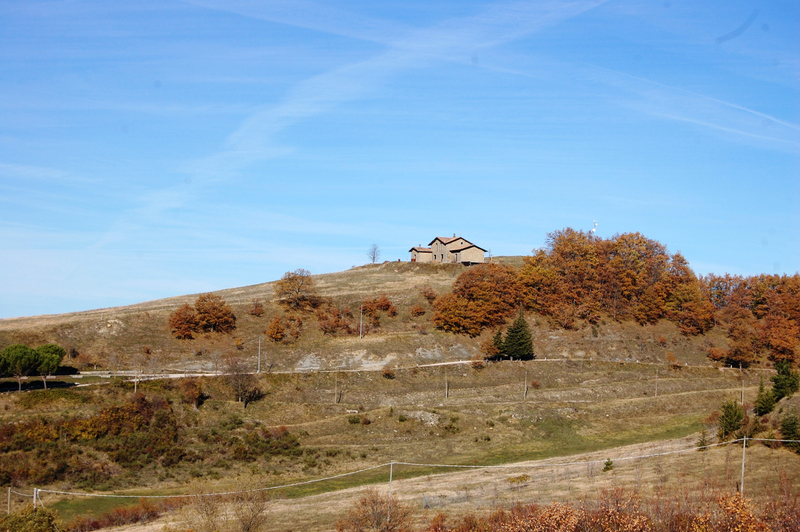 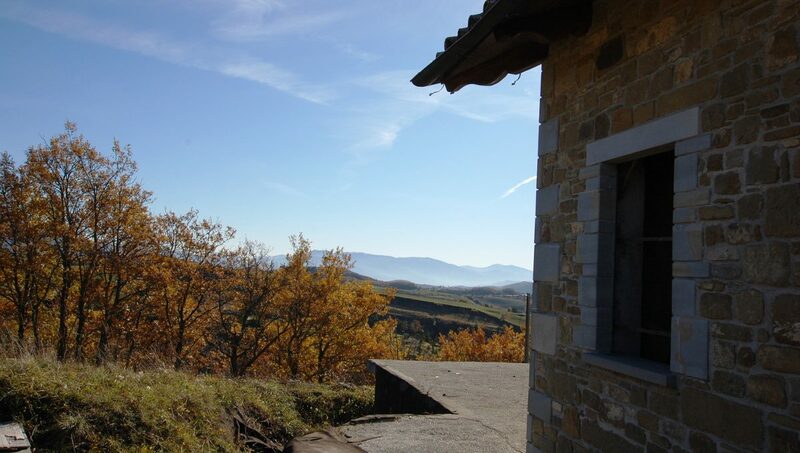 The villa is located on top of a hill and enjoys a wonderful view on the surrounding mountains. 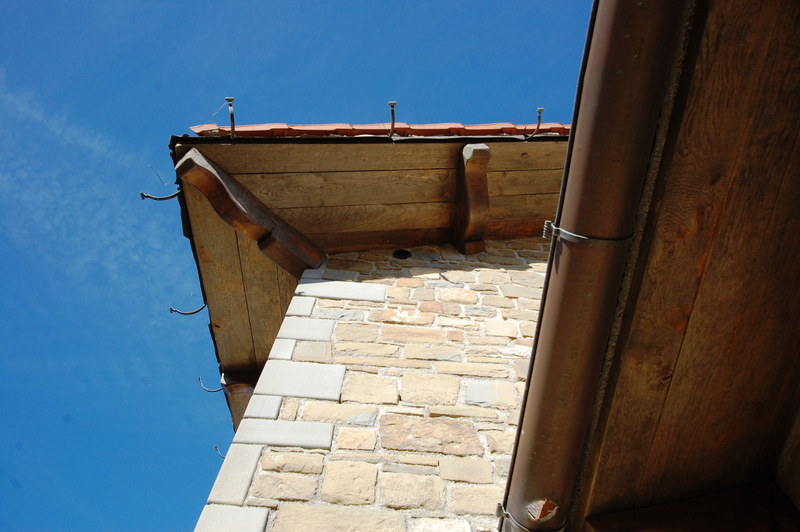 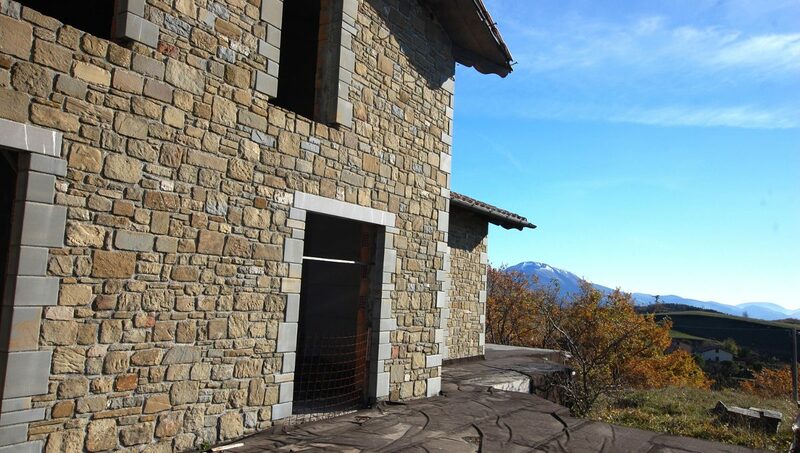 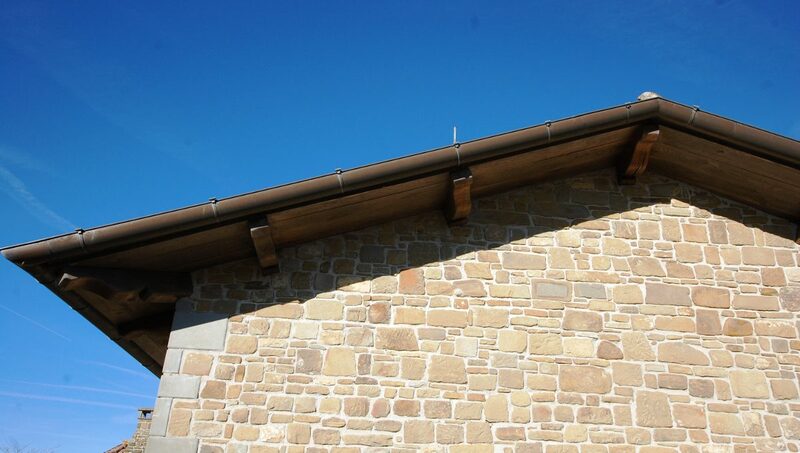 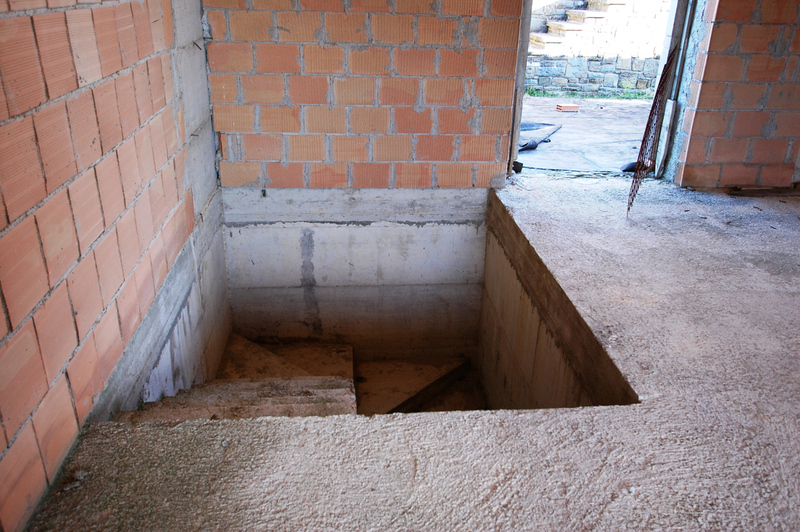 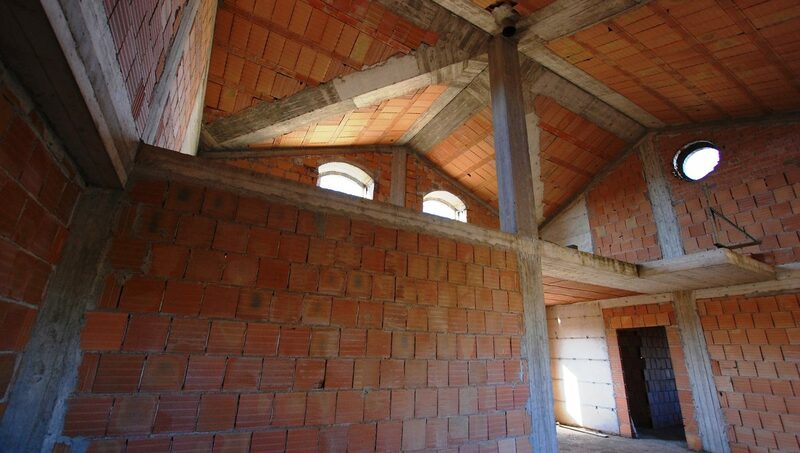 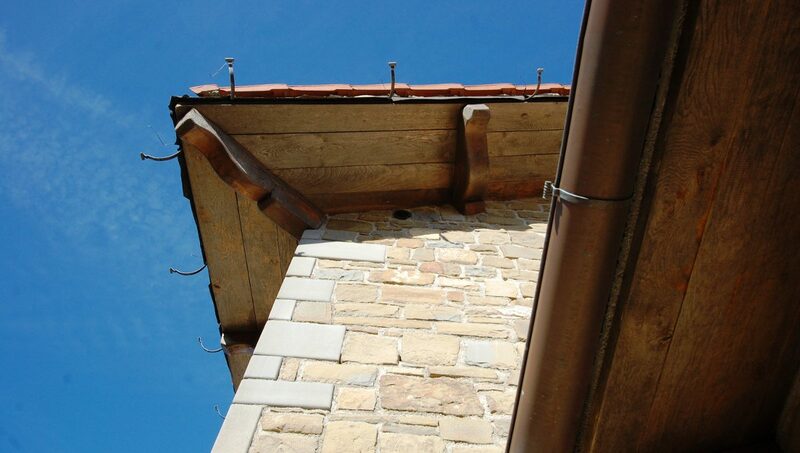 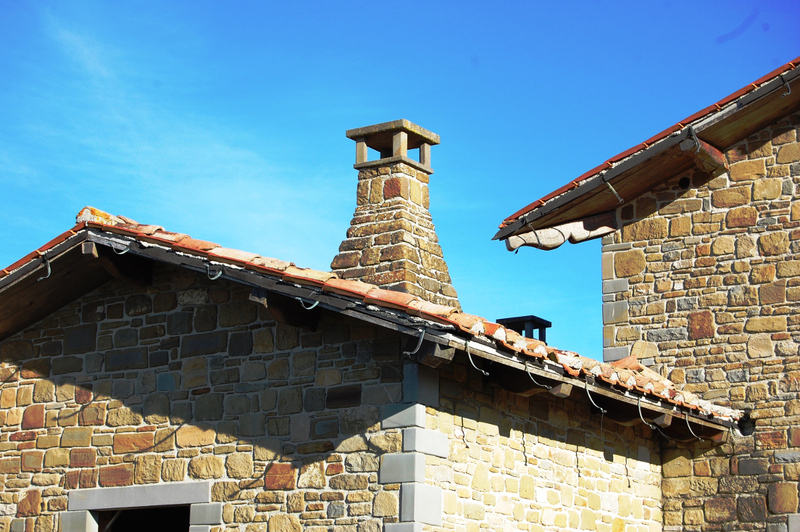 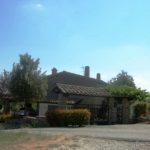 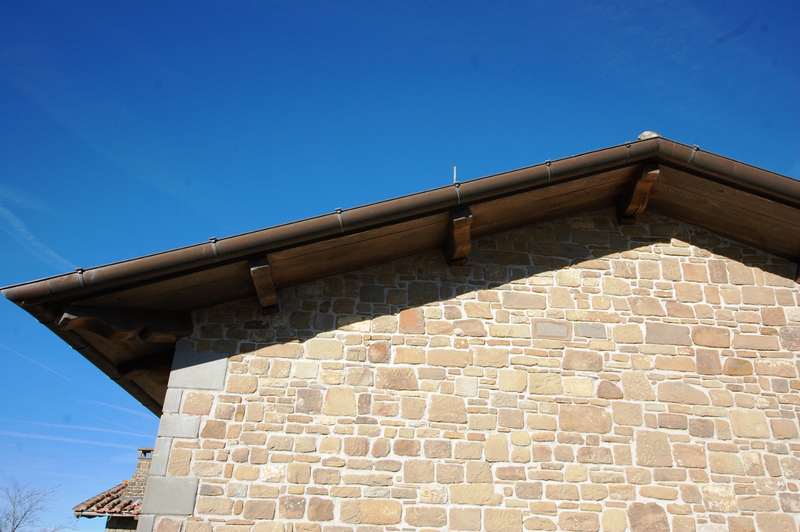 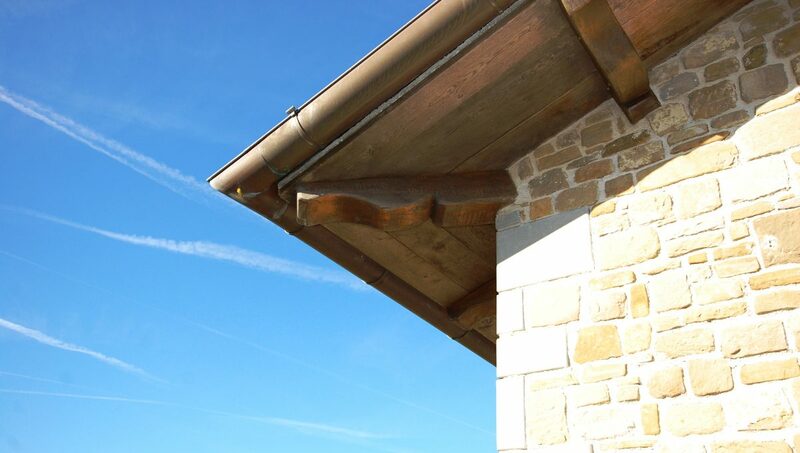 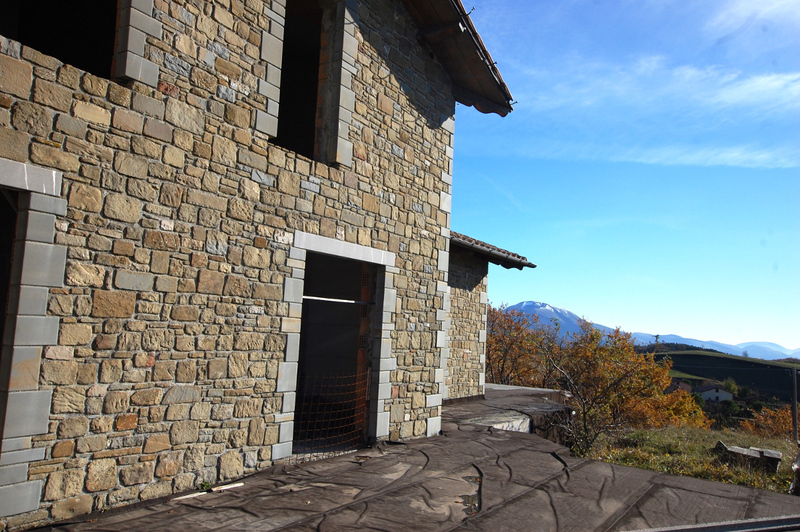 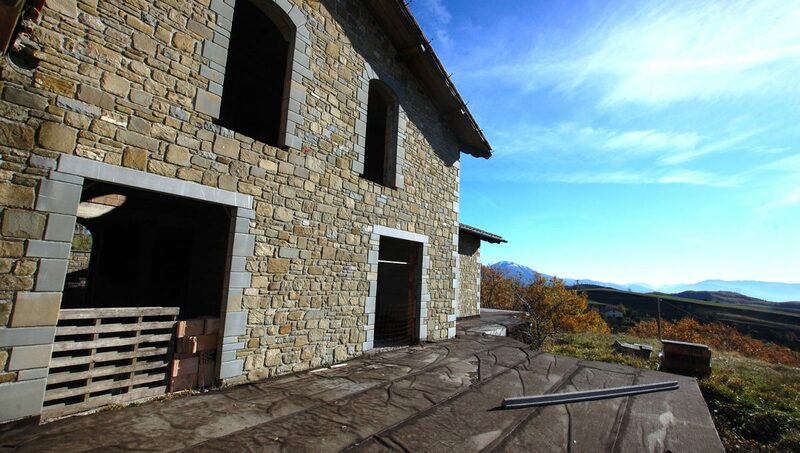 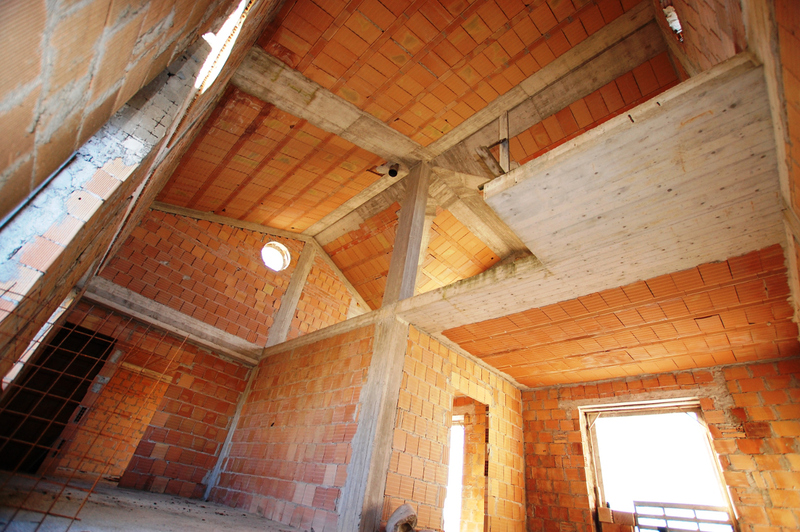 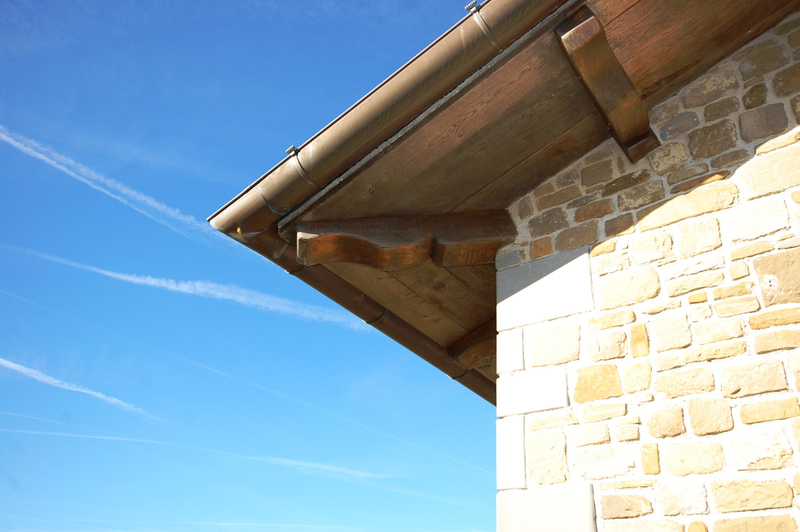 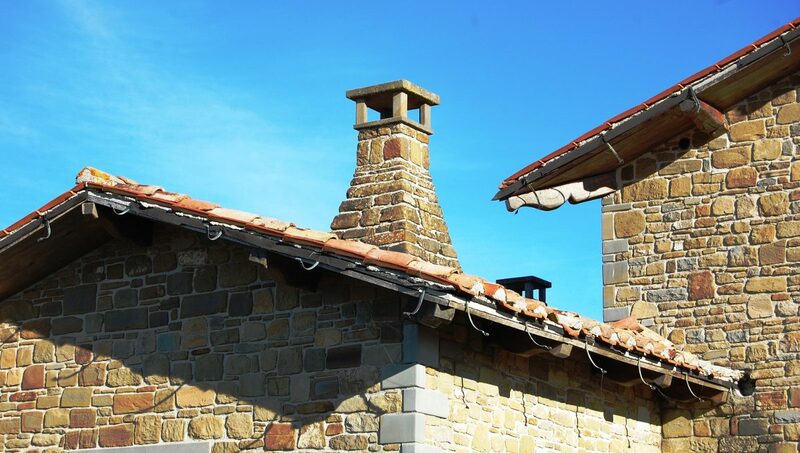 The villa is all built with reinforced concrete, the perimeter walls have been realized in stone face-view, worked with great skill; an insulating layer of cork and an internal brick block guarantee good insulation. 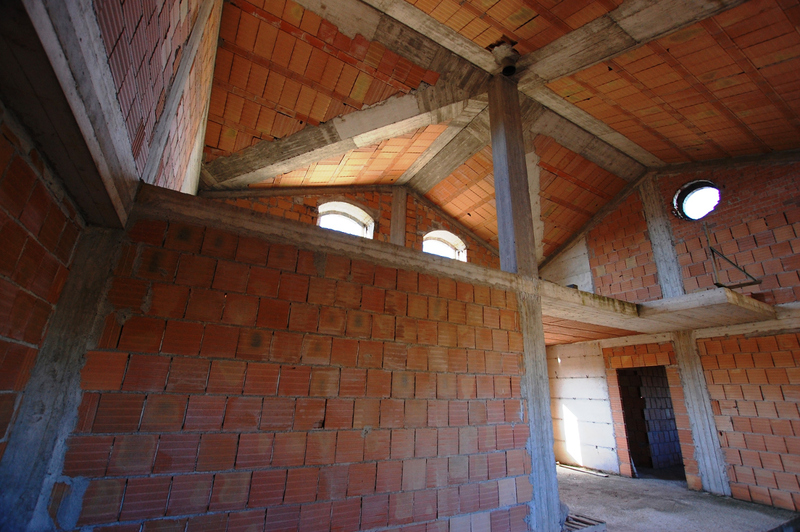 The construction is on three levels for a total of 200 sq. 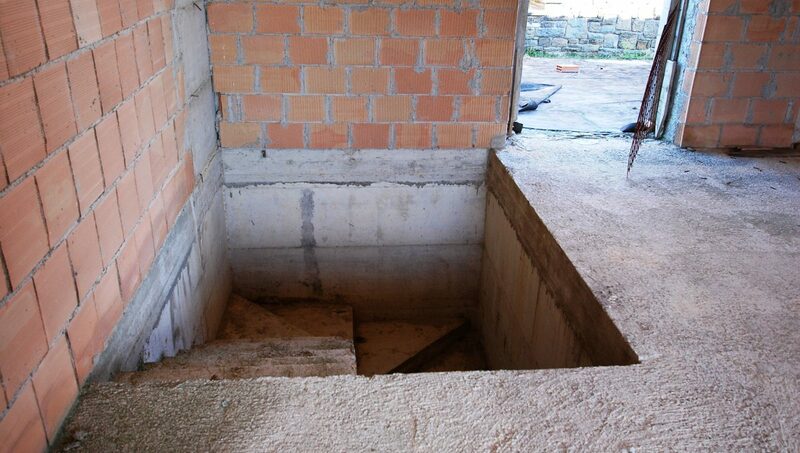 From the mezzanine floor there is an exposed staircase, to be built, to reach a roof space of approx. 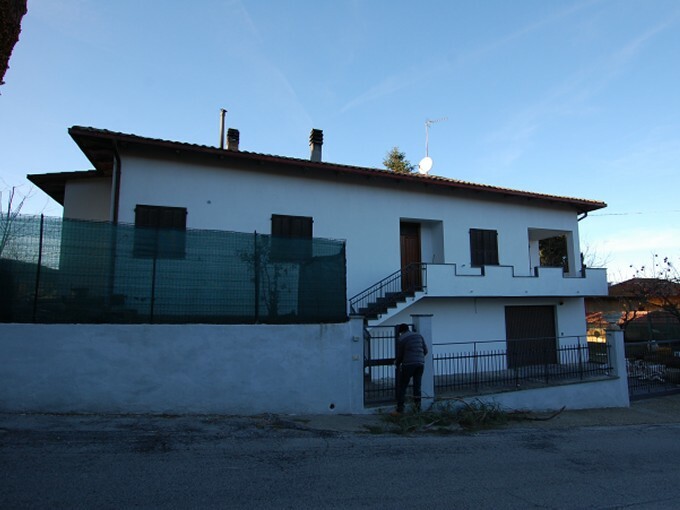 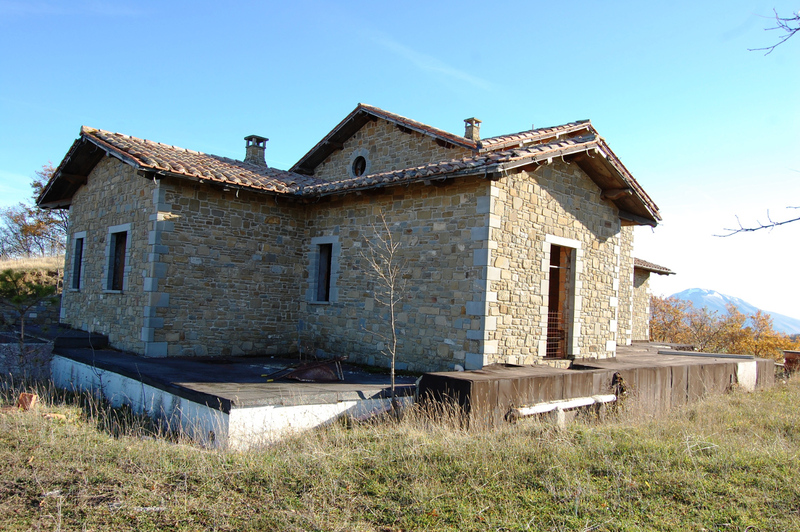 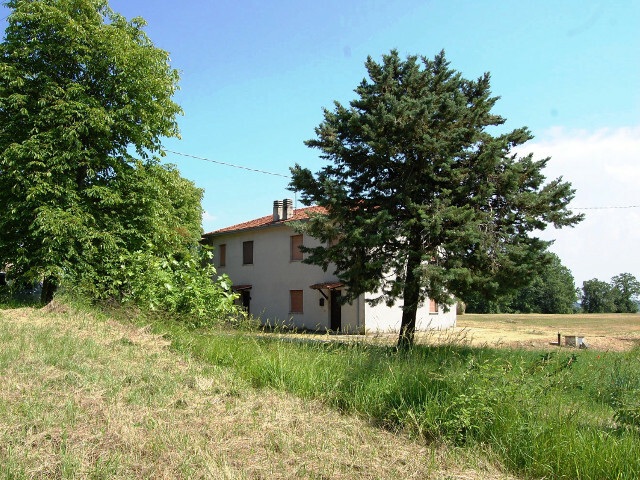 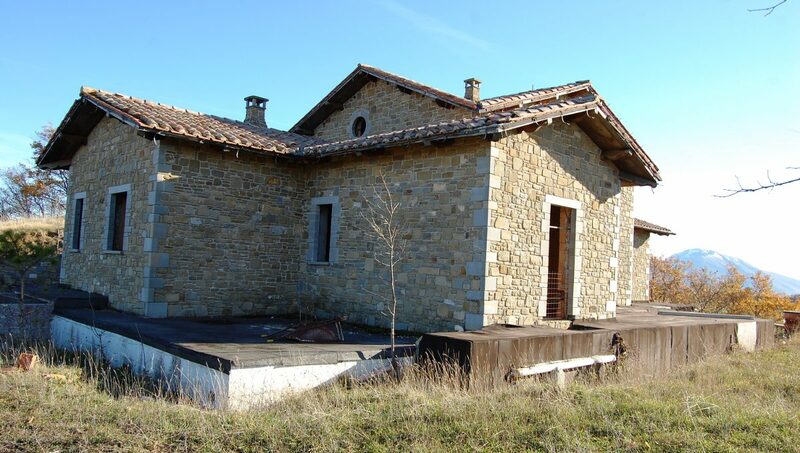 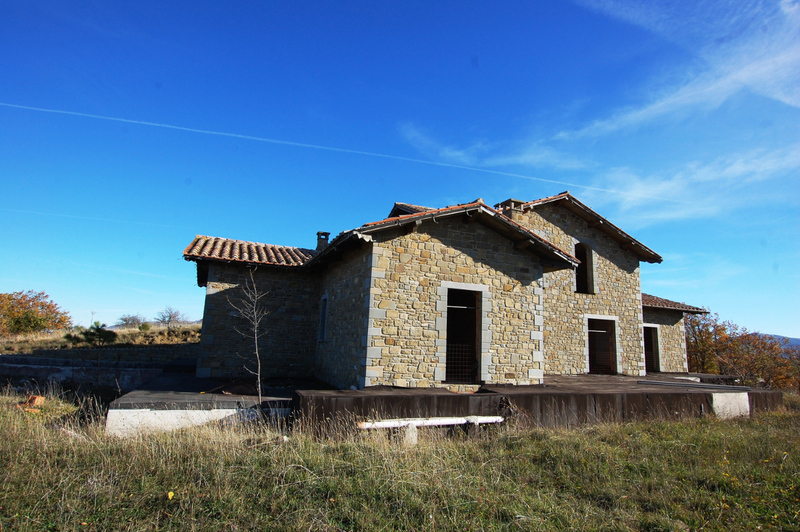 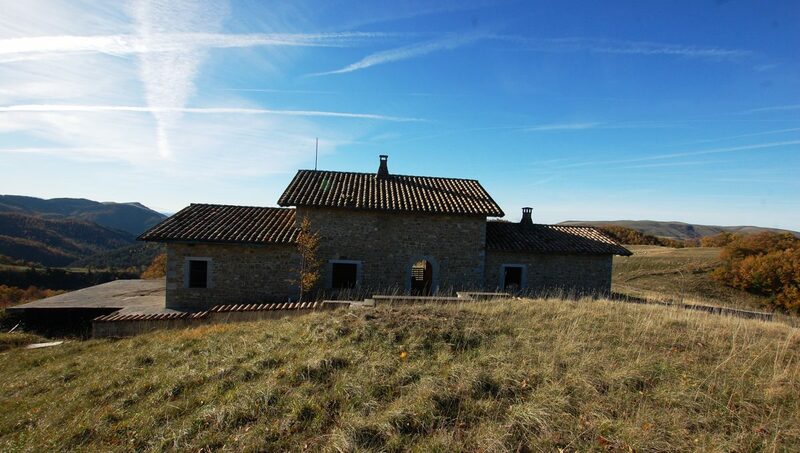 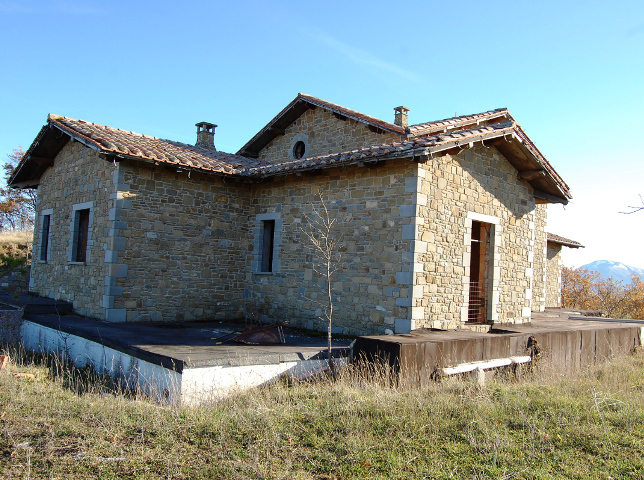 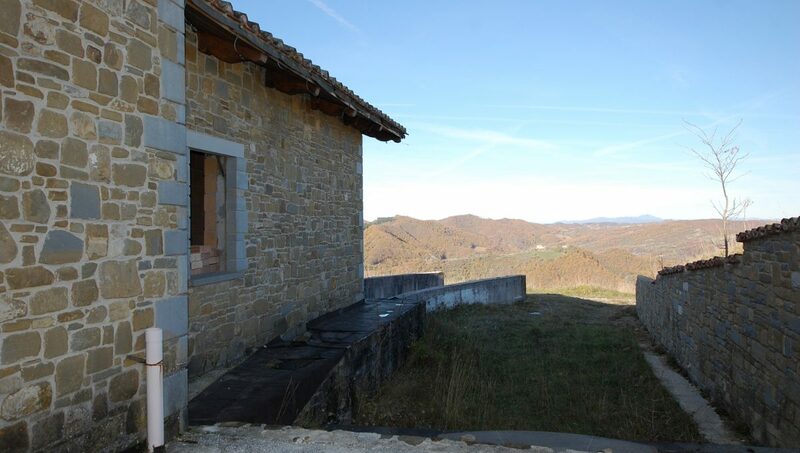 The property includes an agricultural land that incorporates the villa in the central part of the area of ​​ha. 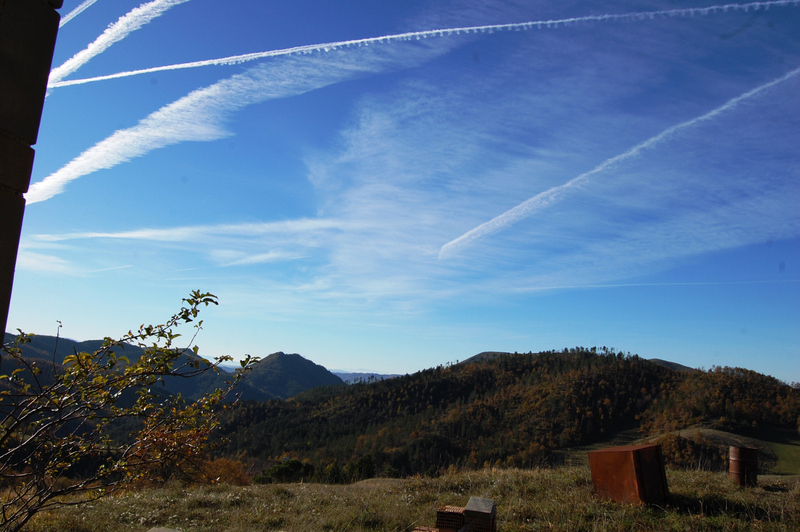 6.53.20, equal to mq. 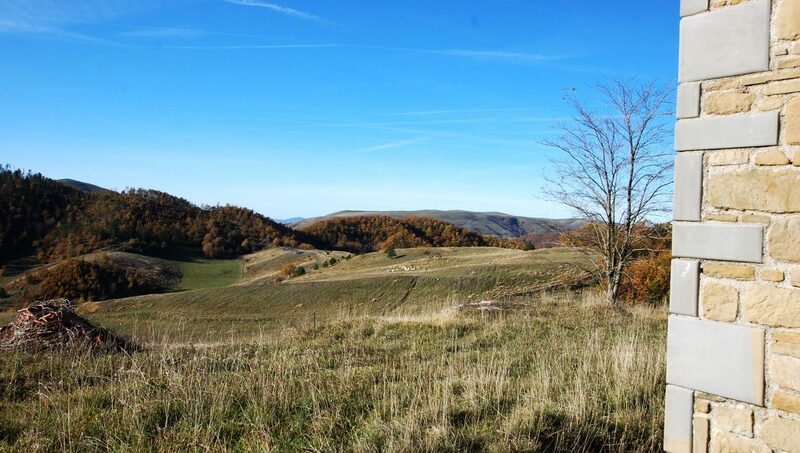 65.320, consisting of arable land and woods. 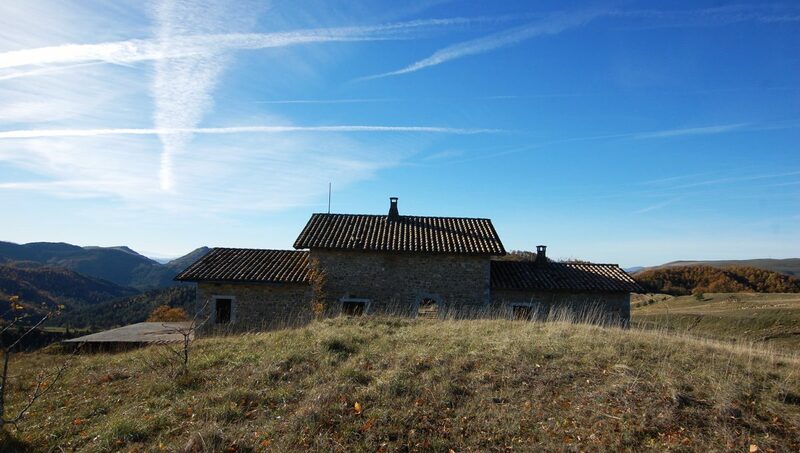 The distance from Gubbio is km. 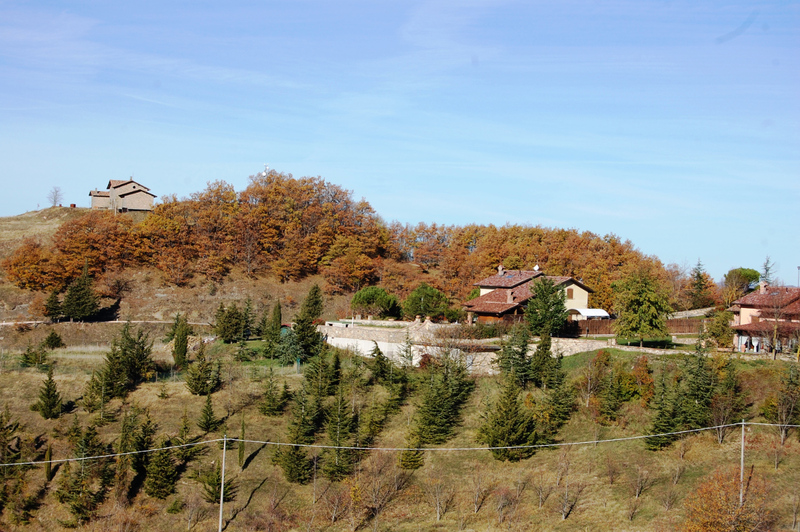 6 + 300 of which km. 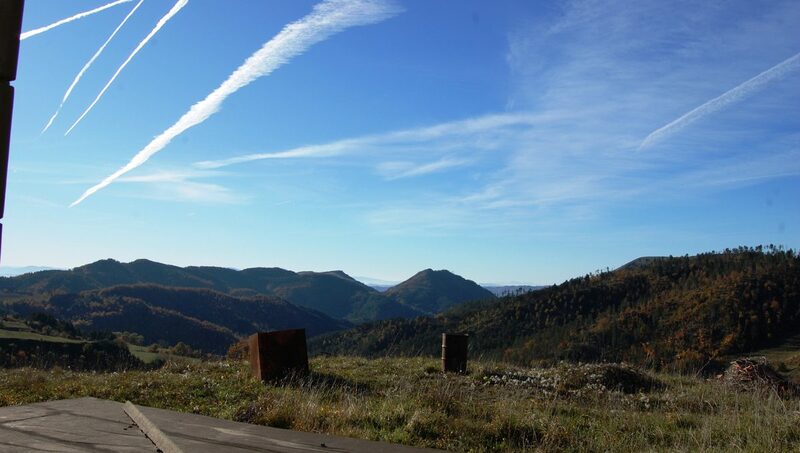 4 + 000 of asphalted regional road and km. 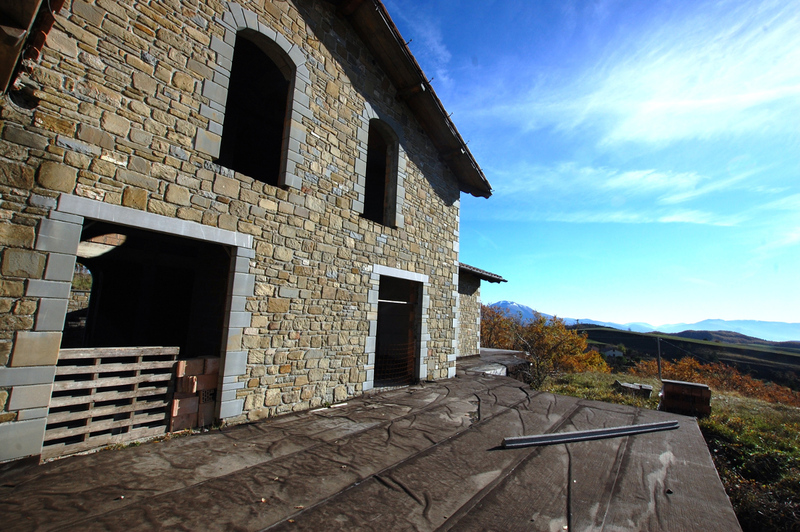 2 + 300 of white road. 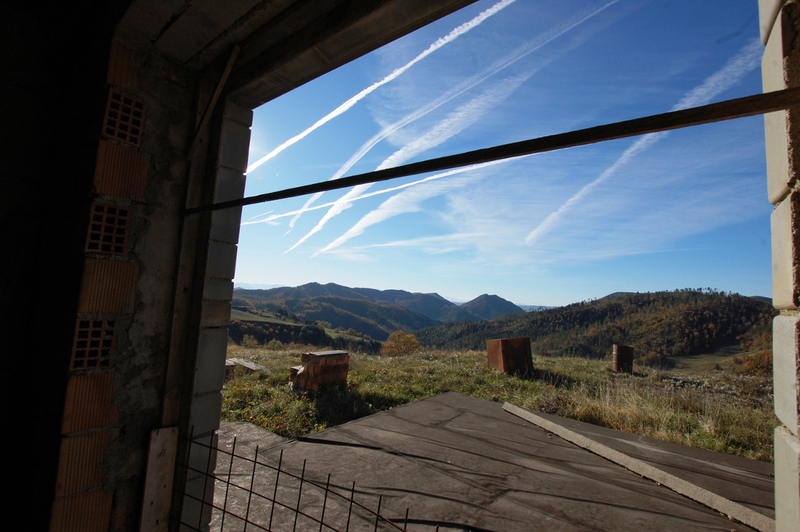 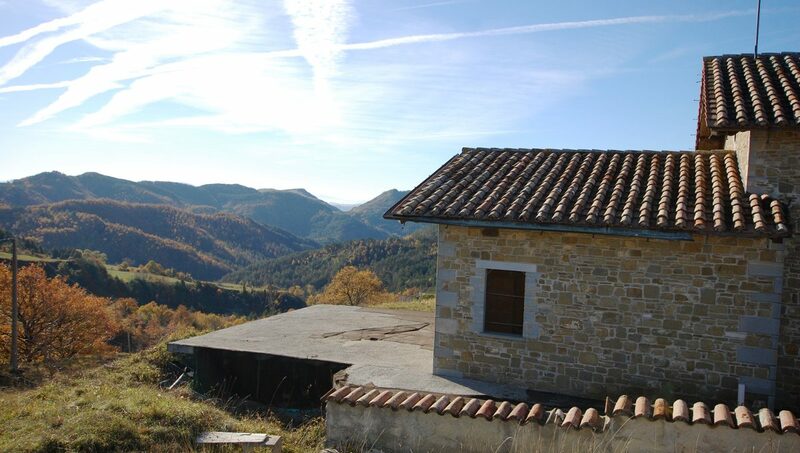 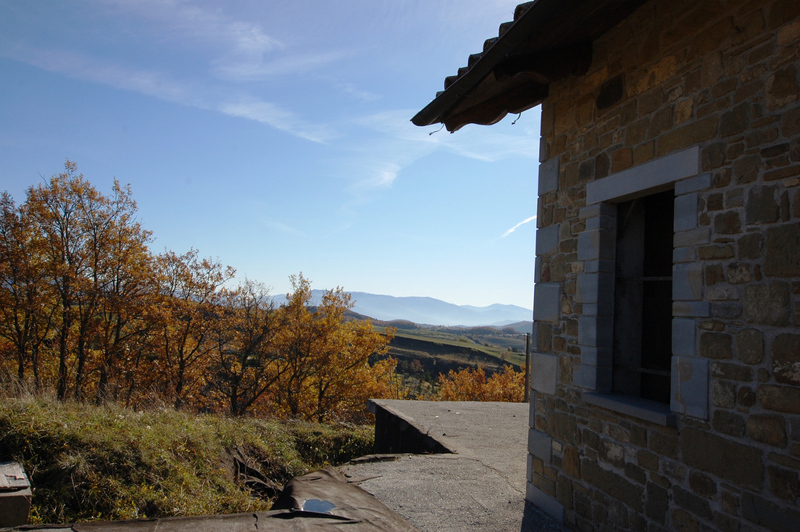 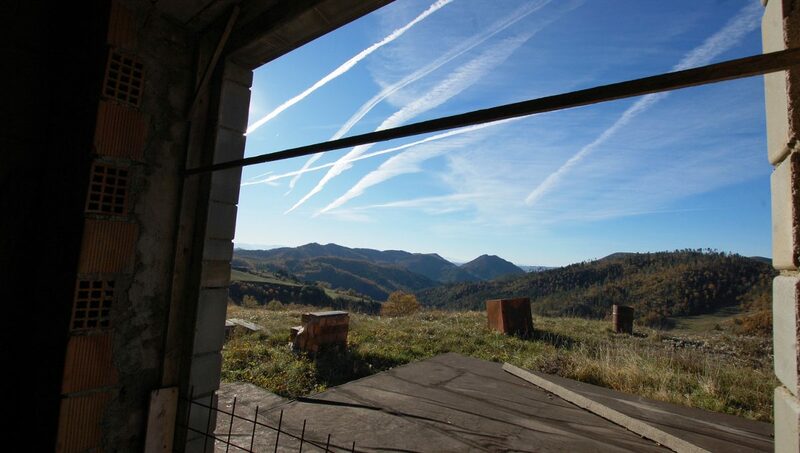 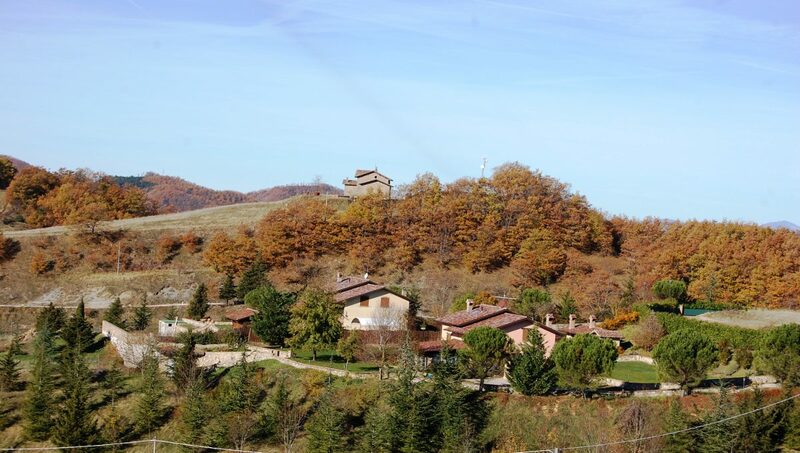 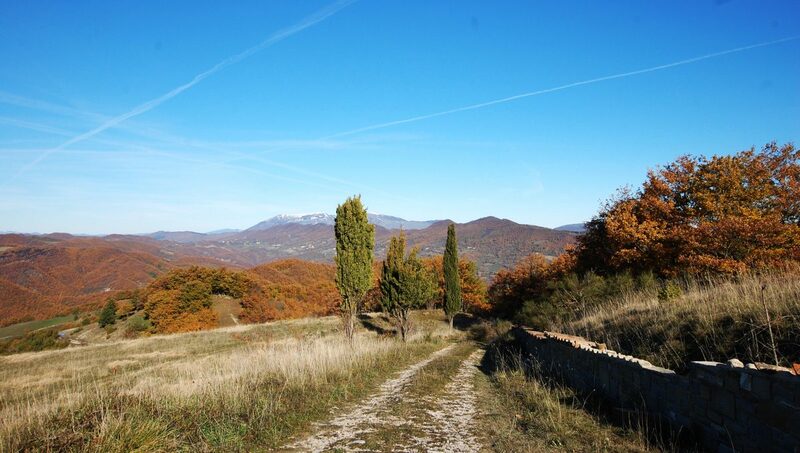 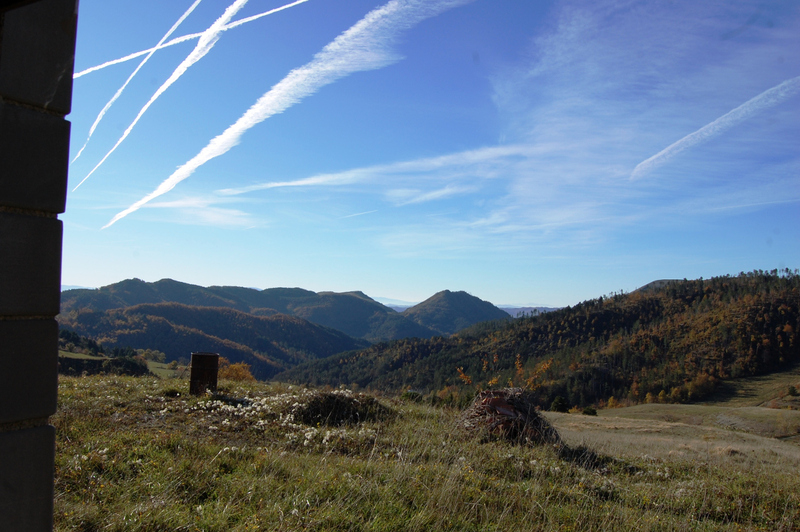 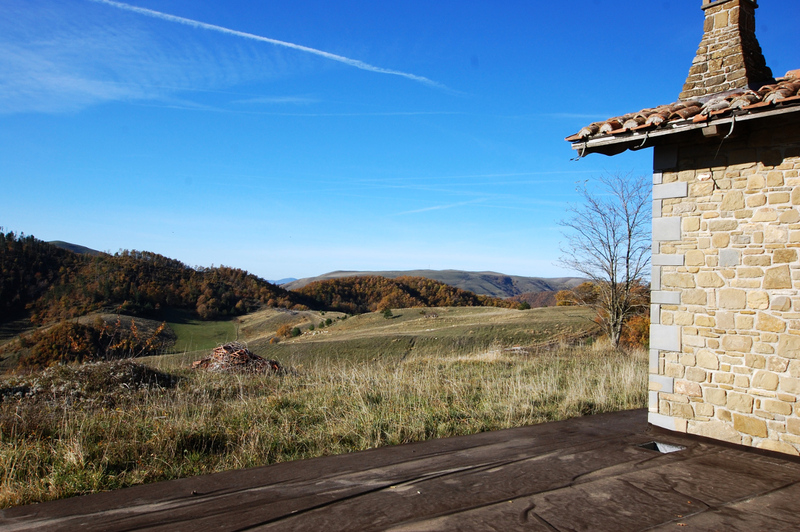 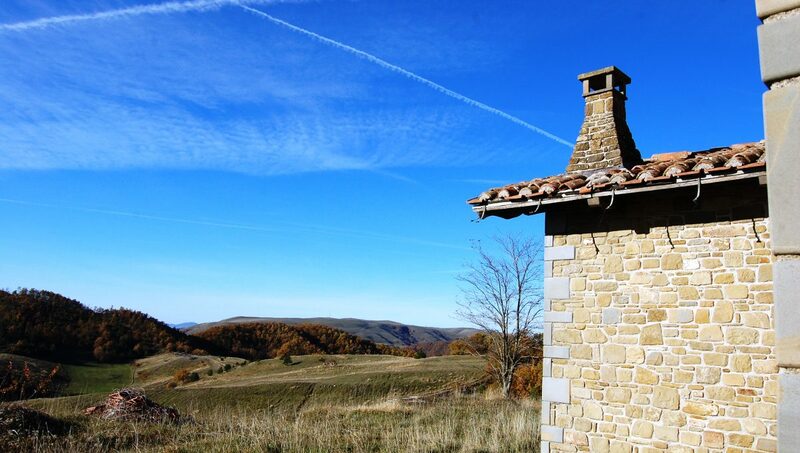 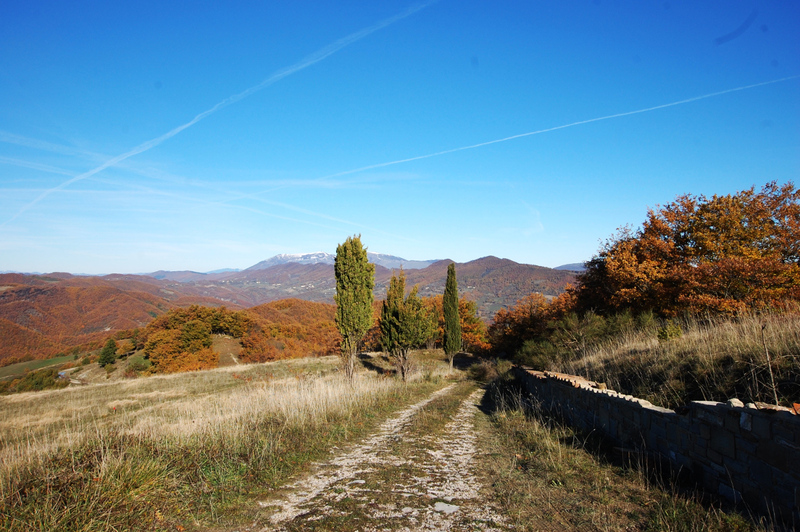 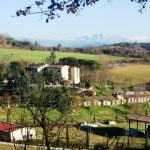 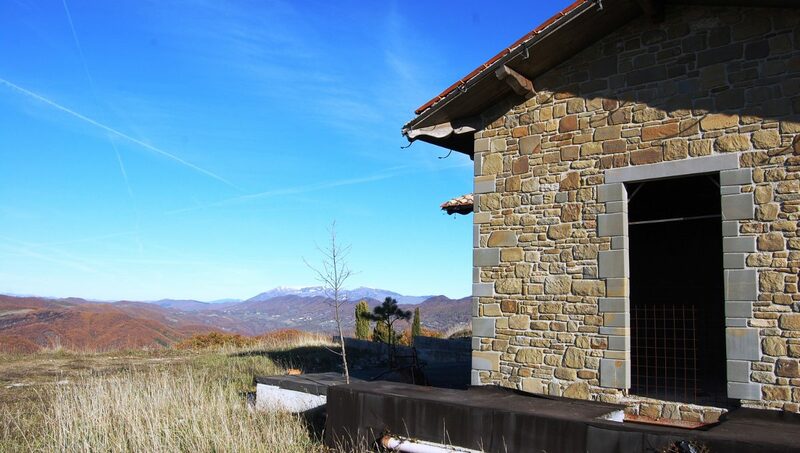 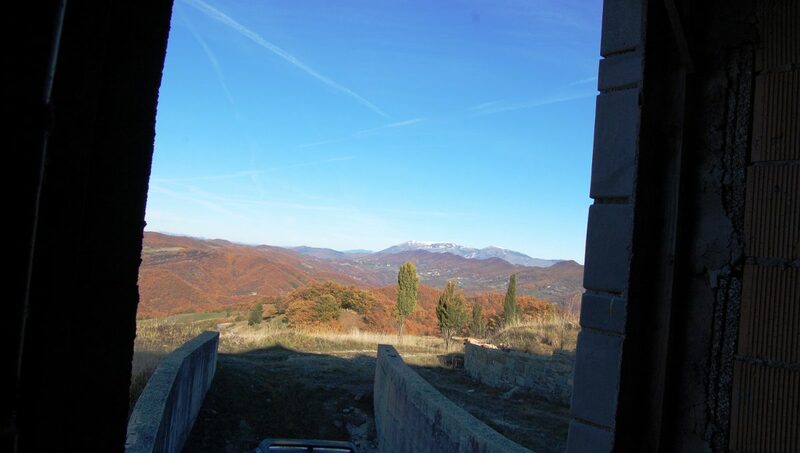 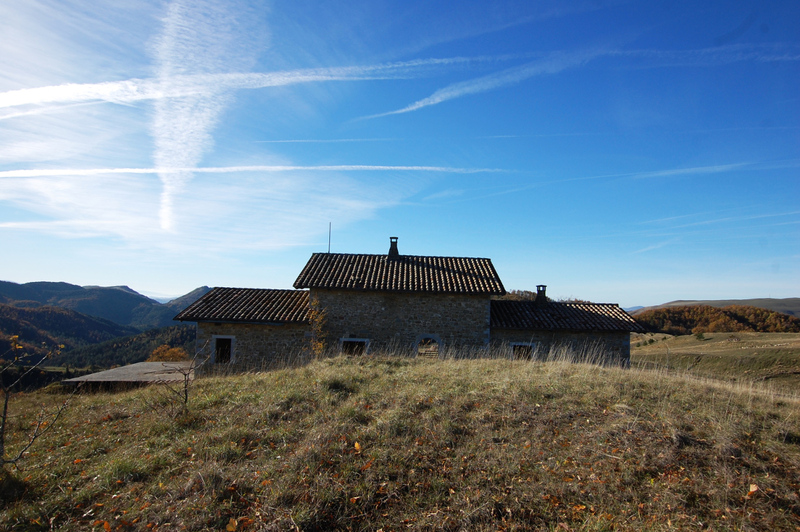 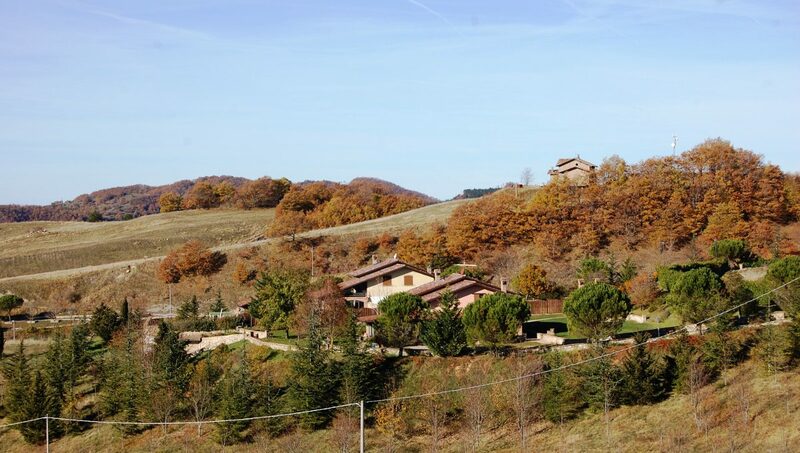 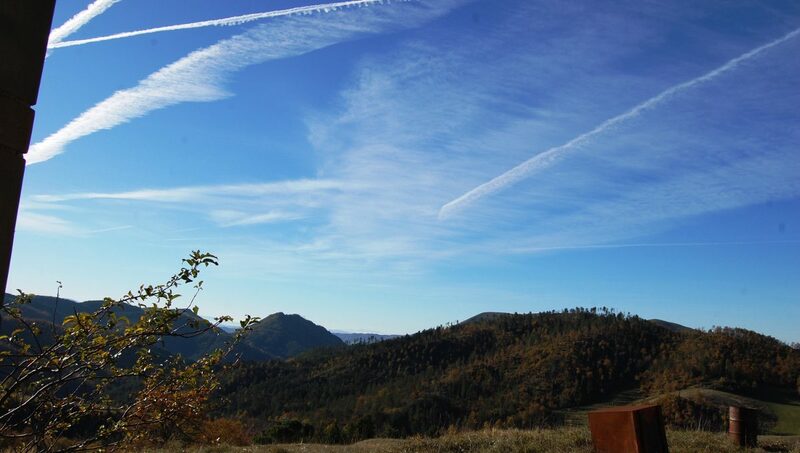 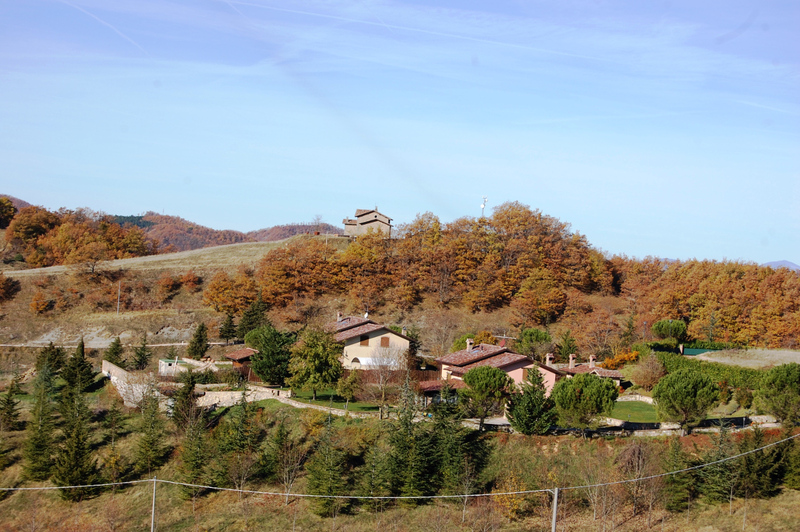 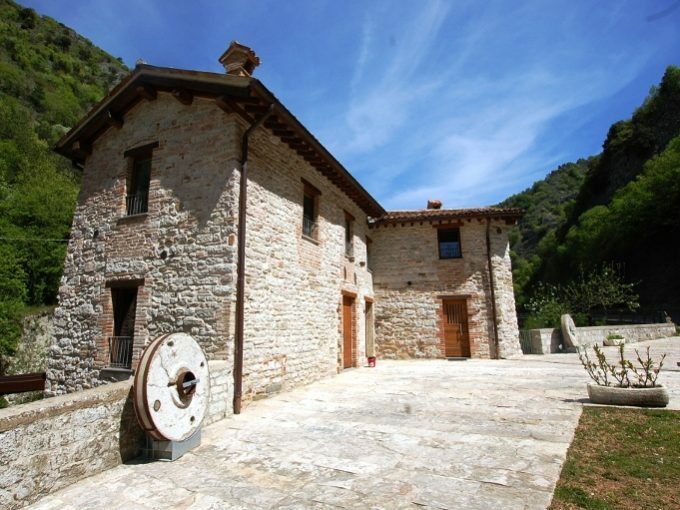 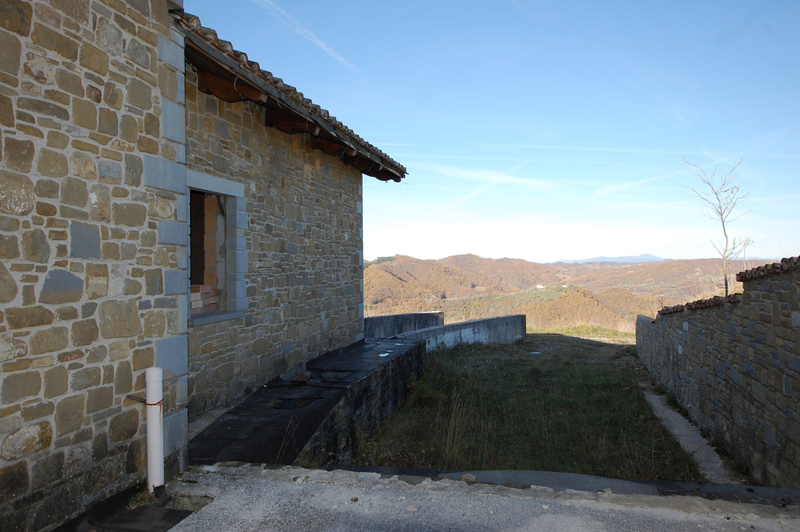 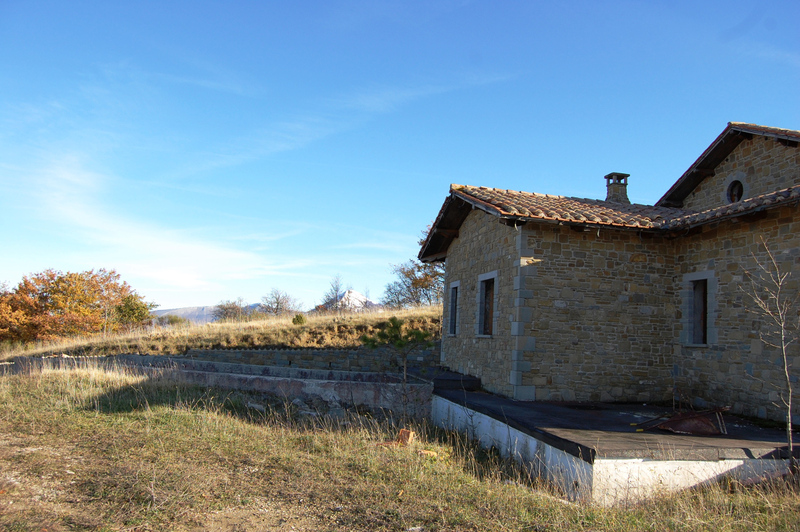 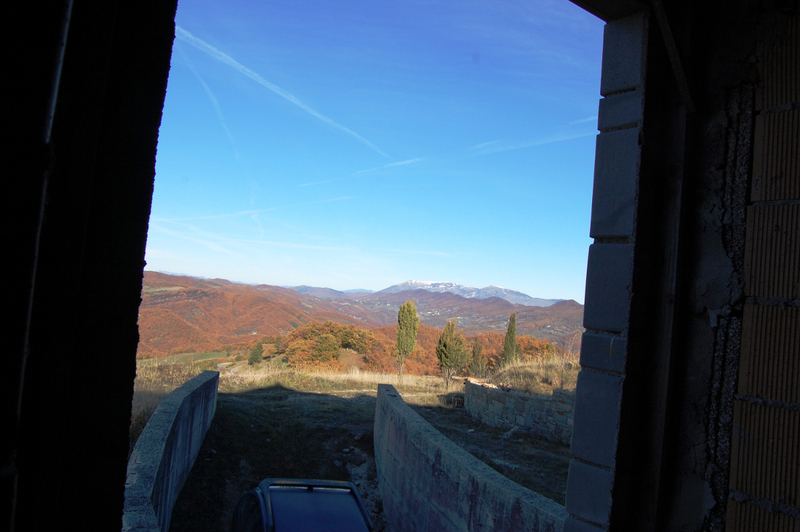 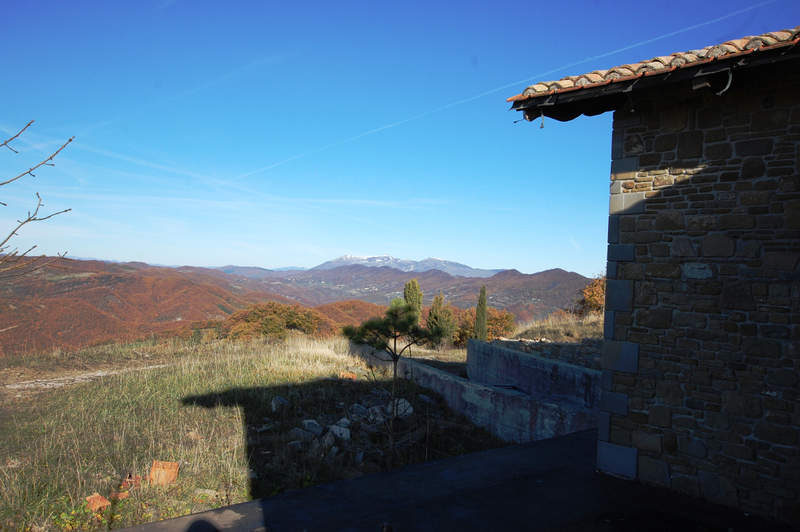 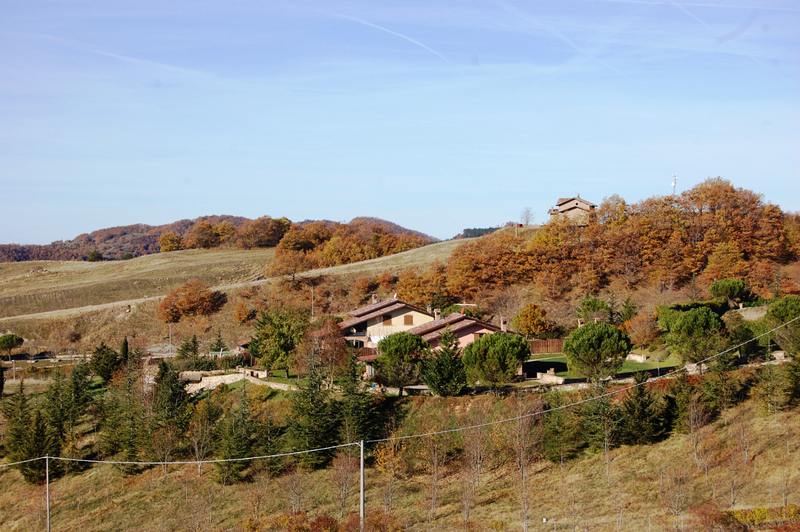 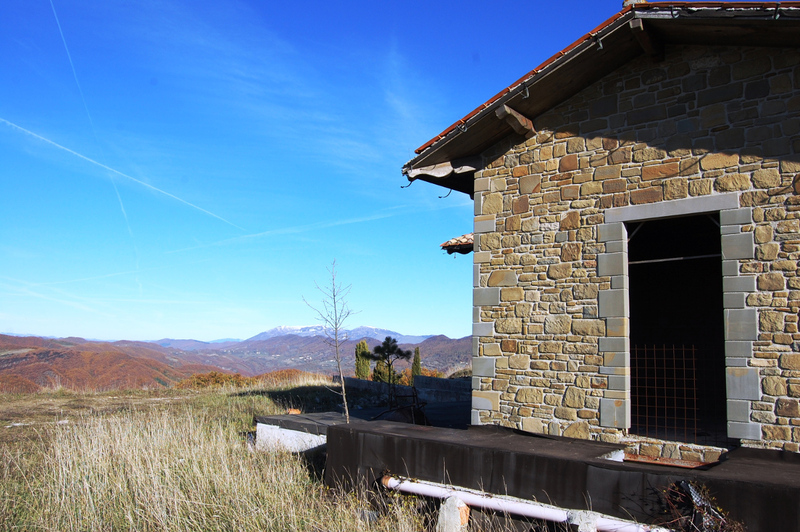 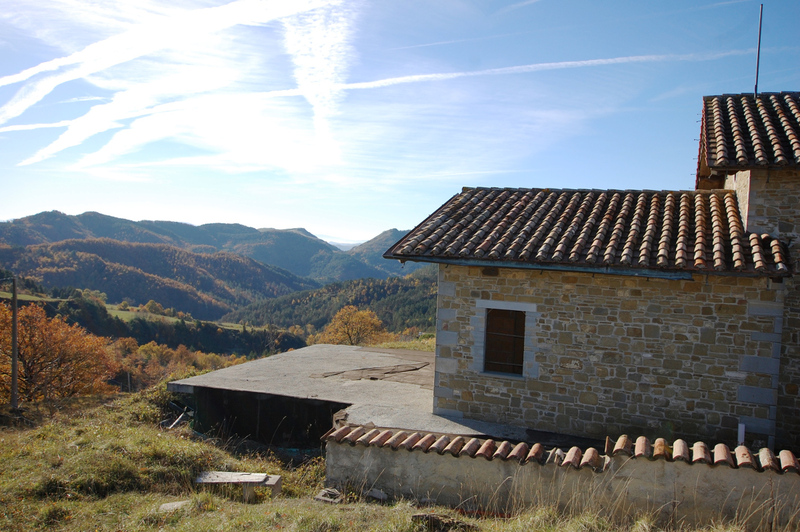 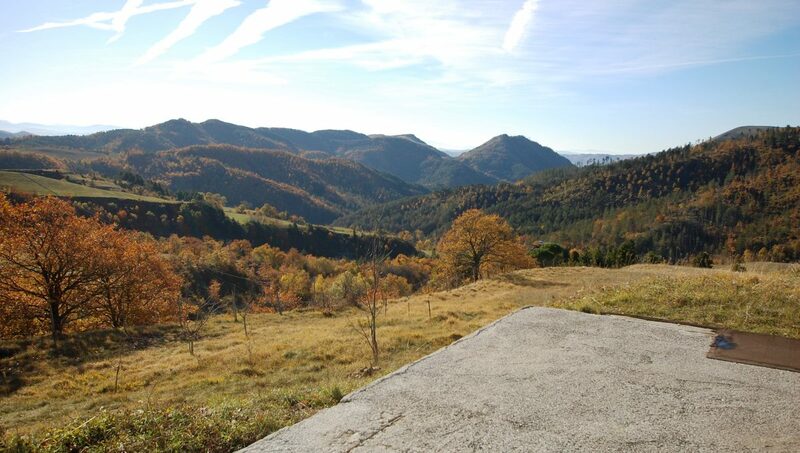 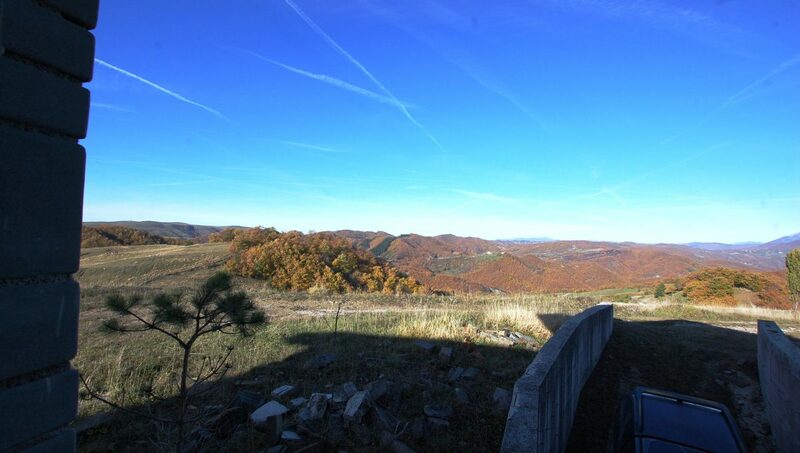 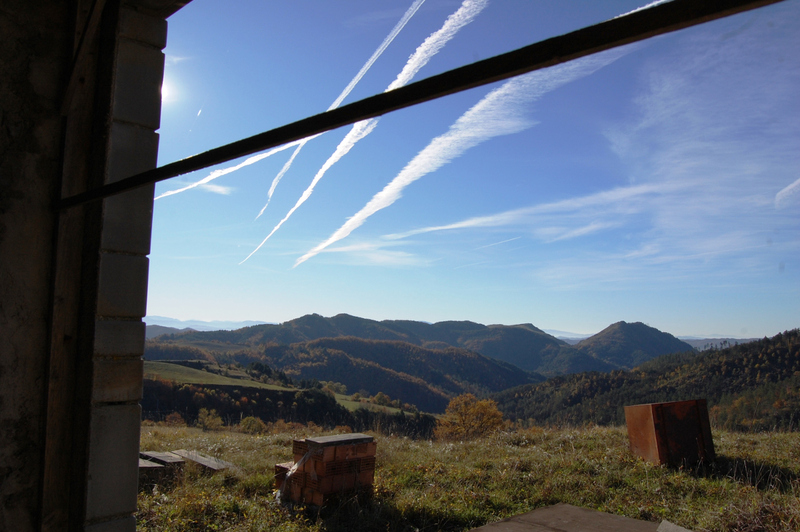 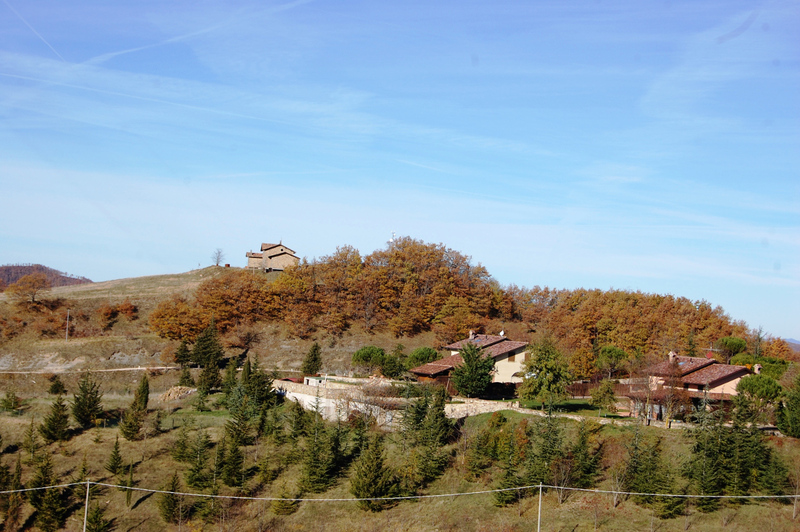 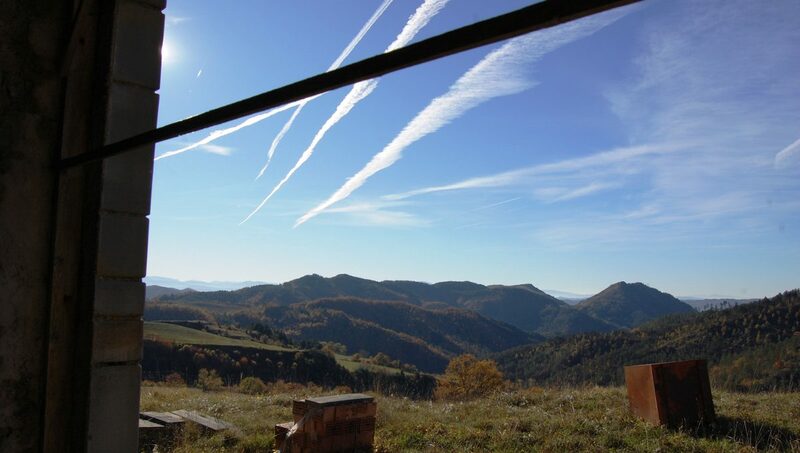 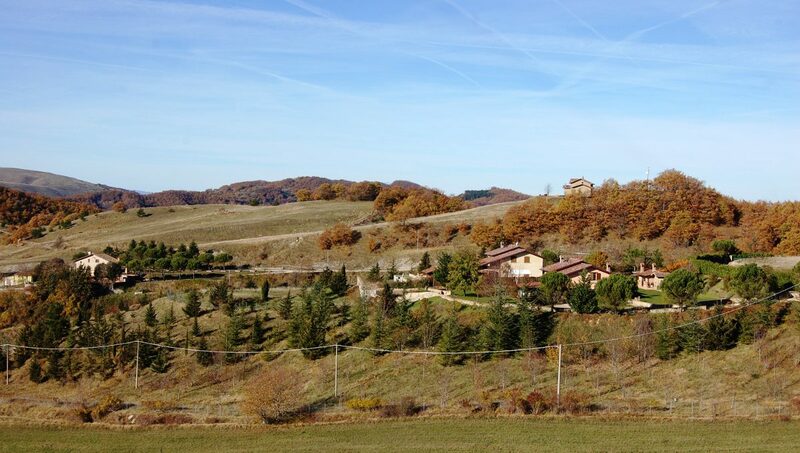 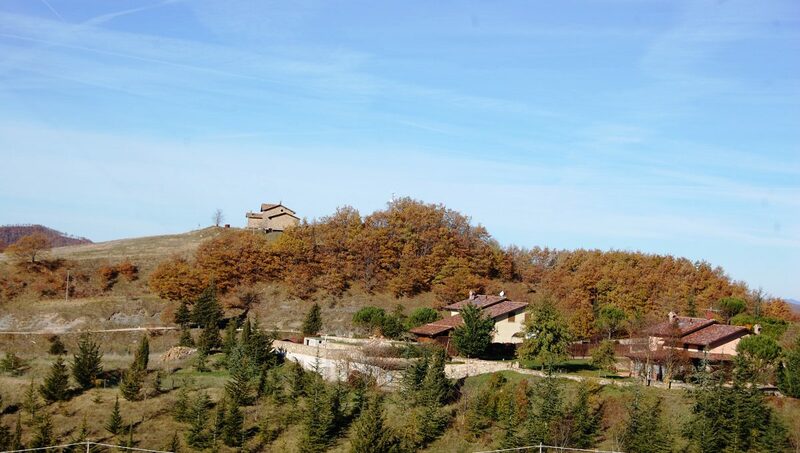 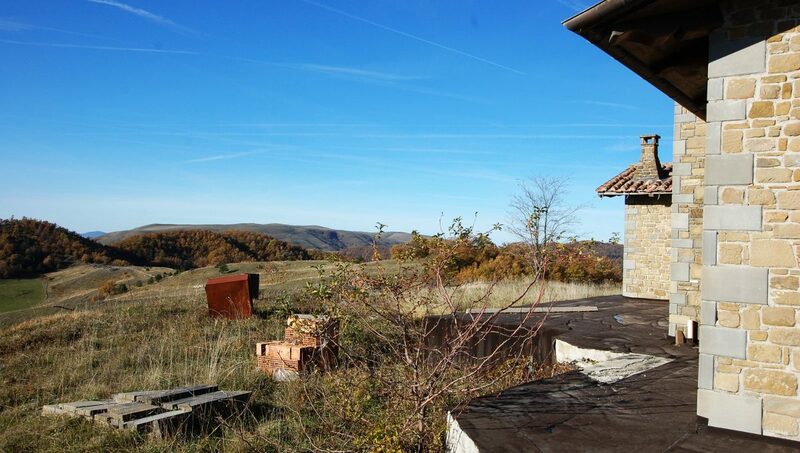 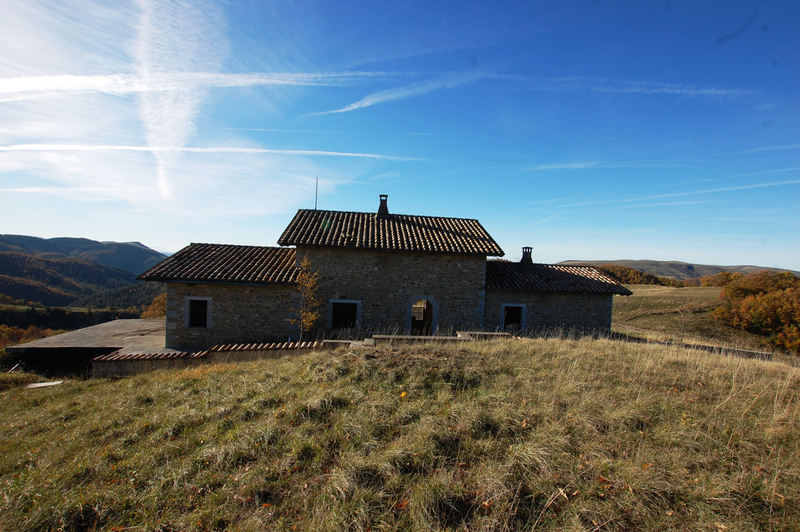 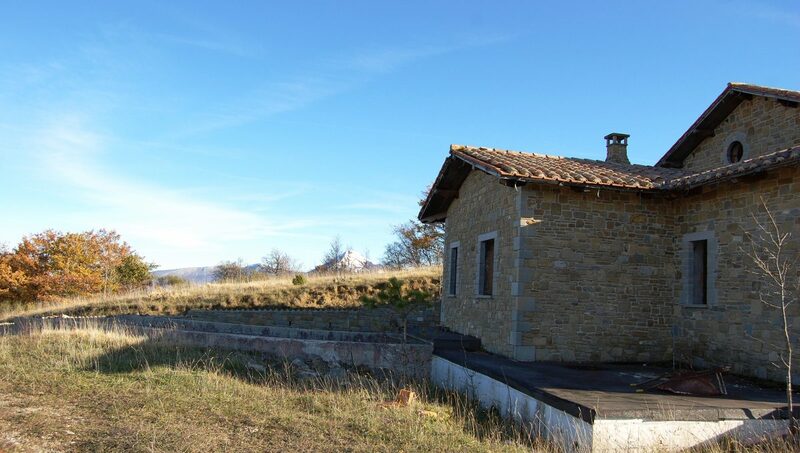 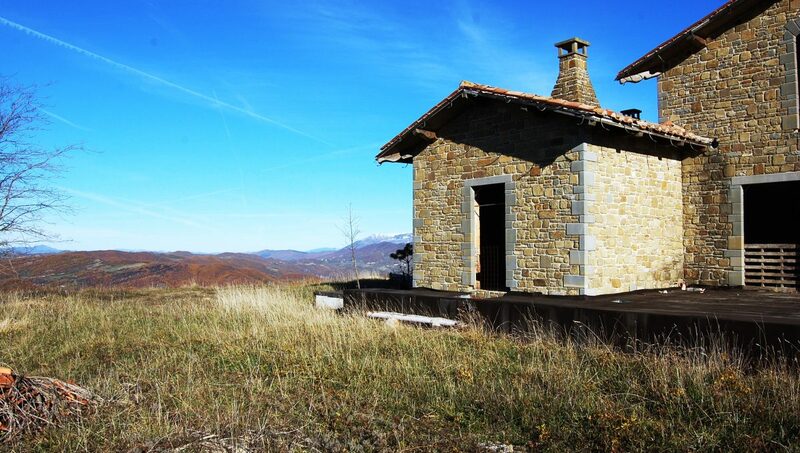 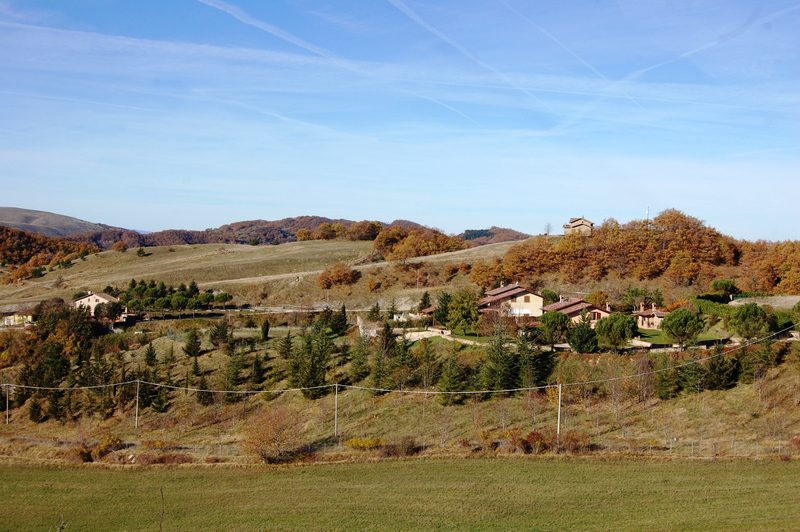 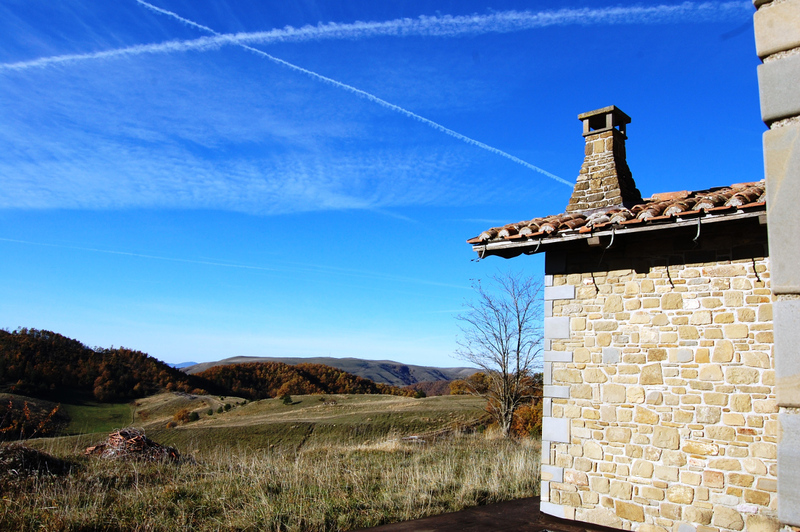 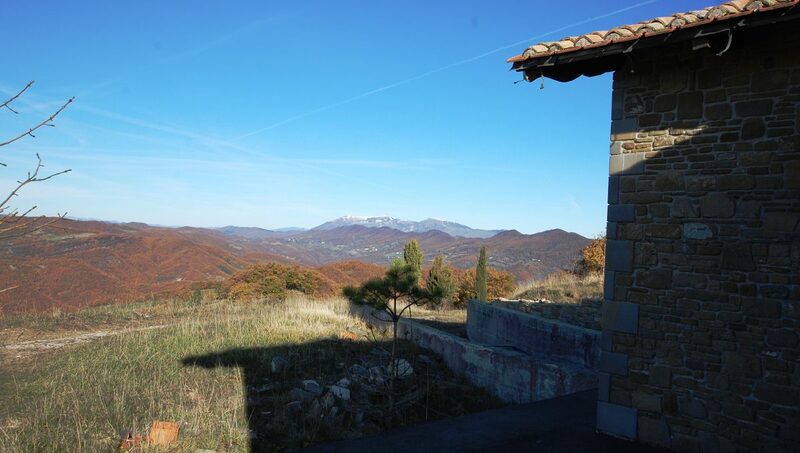 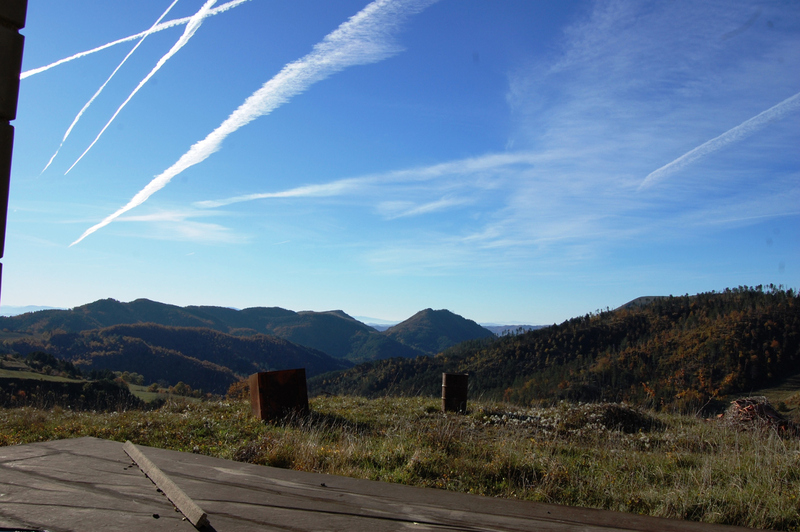 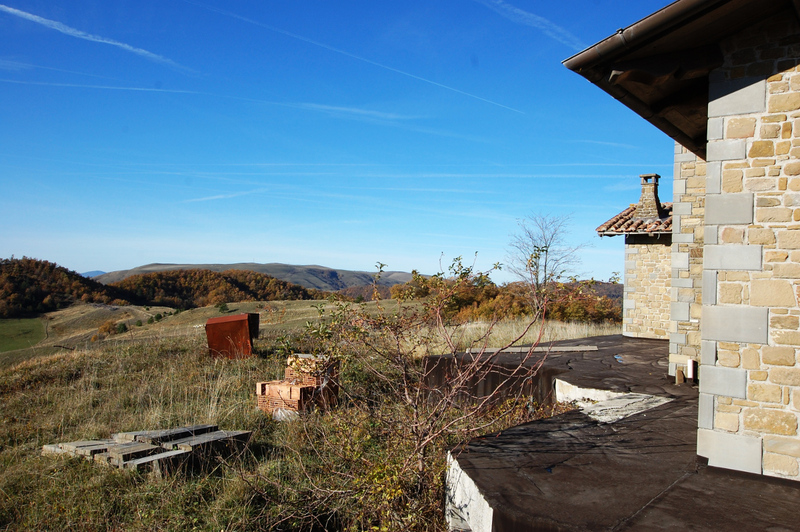 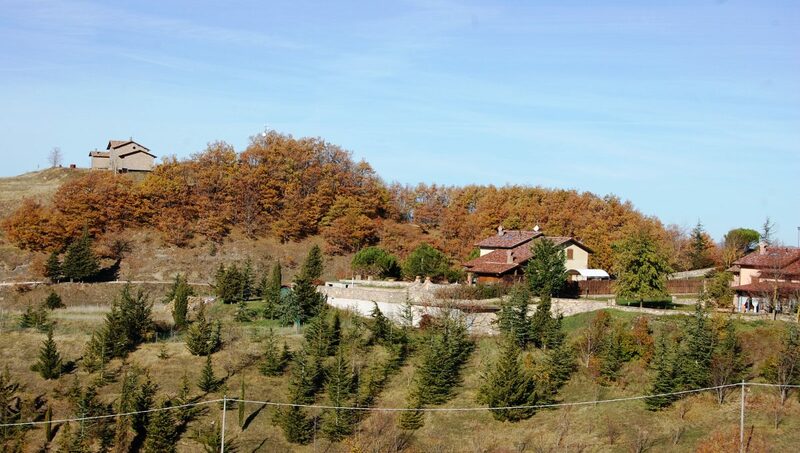 The environmental context allows a great tranquility, being isolated, but in an area with many villas inhabited even in winter; the view is breathtaking, spanning in all directions for many kilometers, between valleys, mountains and hills of Umbria and Marche. 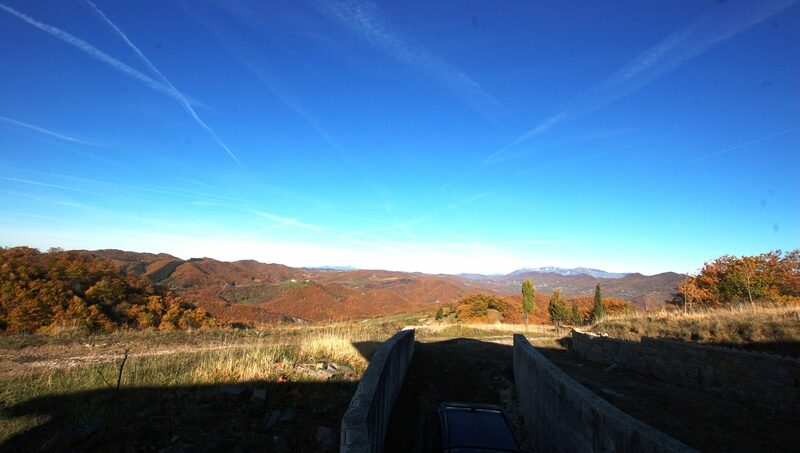 Words do not give the idea of ​​the exact context, better have a look in the attached photographic documentation.